It's will definitely be a blue Christmas with these C7 blue transparent bulbs. Blue in a good way! These lovely blue bulbs will bring a richness and shine to all your holiday lighting projects. These lights, which come in multiples of 25 bulbs, will wrap beautifully on natural and artificial trees. Use them as a single color or combine them with other colors for a fun look that really represents your personal style. Maybe your favorite professional football team hails from Dallas. These are your lights of choice for that tree. 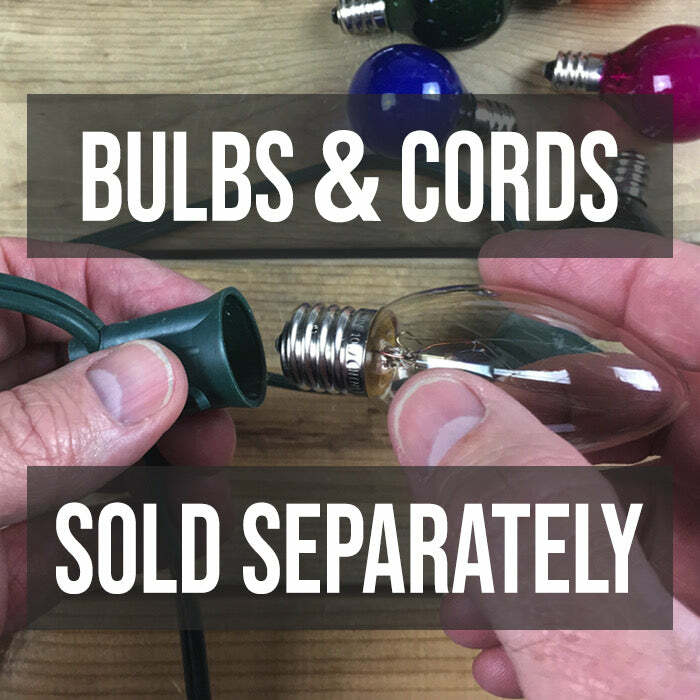 When placed in your cord, purchased separately, they can be used in multiple ways in your holiday decorating, both indoors and out. Our customers are also using these blue Christmas lights to wrap artificial garland, light up storefronts and bring their outdoor lawns to life.